NEW BEDFORD _ On Thursday, Nov. 10 from 10 a.m. to noon, the public is invited to meet Capt. Thomas Flood at Station Three, 781 Tarkiln Hill Road. 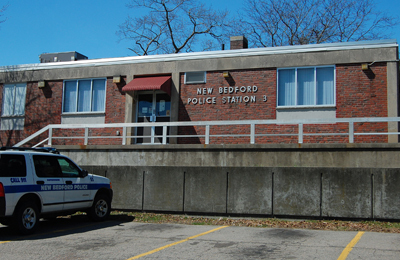 This event is the latest in a series of meet-and-greets at the city’s police stations to offer residents the chance to learn more about the workings of the New Bedford Police Department. Capt. Flood recently celebrated his 35th anniversary with the New Bedford Police Department. He worked his way up through the ranks and in 2012 was promoted to captain in charge of station three in the city’s north end. Lt. Paul Demers, who is second in command at the station, will also be on hand for the Nov. 10 event. Capt. Flood and Lt. Demers look forward to meeting residents, business owners and anyone else who would like to stop by. 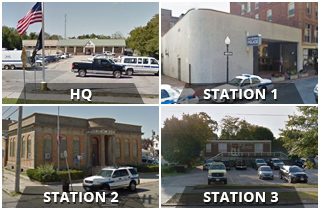 Similar meet and greet opportunities have been held at all three city police stations, Station One downtown, Station Two in the south end and Station Three in the north end. “These meet and greet opportunities are an important first step in our efforts to further develop the community policing philosophy throughout the New Bedford Police Department. We are committed to growing the department’s relationship with the community so that, ultimately, residents and police officers perceive each other as the same, and work collaboratively as a city of one,’’ said Police Chief Joseph Cordeiro.